It's still the start of the year and an ideal time to reflect on the things that you're not truly happy with. Could it be your work? Your career? Your home? Your professional relationships? Your personal life? Your lifestyle? Or even your health? Do you feel your life is a bit stuck with old bad habits that you can't quite shake off? Do negative patterns seem to repeat themselves time and time again? Or maybe you just need really useful tips on how to get what your heart is really calling for this year? No matter how big or how small your concerns are, it's time to reflect; realign your priorities and process what needs to be done to make some changes so you can redesign the life of your dreams! H Retreats' Wellness Saturday event called “Reflect, Redesign and Realign” is here to help. Expect a full day, from 9:15am to 5:00pm, of self-love, yoga, meditation, sound healing, therapy workshops, nutritious healthy food, and spa pampering. • Start the day with deep reflection, journaling questions about your life path. • Set intentions and let your body take it all in with a 60-minute Hatha yoga class with Eva Shanti, yoga teacher and sound healer. • Powerful Tibetan singing bowls will heal your body, mind and soul. 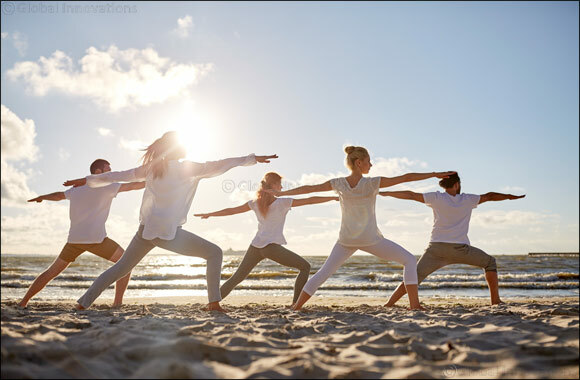 • A mindfulness session called “Intentions are the New Goals” will work on identifying your values, creating good goals, and welcoming change, with Louisa Kiernander and Anna Yates, hypnotherapists and NLP master practitioners. • Enjoy a healthy three-course lunch at Vibe restaurant. • Get a 25-minute massage at the spa and enjoy the oxygen relaxation room, sauna, steam room and Jacuzzi. Nikolova, focus on the importance of reflection, realignment and redesigning your life, where it's needed. Her guided meditation practice will help you connect with your seven chakras or energy centres to encourage clarity, serenity and peace of mind.